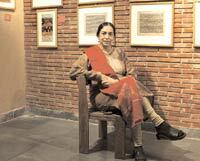 One should not hoard a rare collection of historical value," says Arpana Caur, one of India's best-known contemporary artists. "They ought to be shared." The topic under discussion is that unique Punjabi heritage-the miniature paintings of the Sikh school-of which she is one of the most committed collectors. Caur has a formidable private collection of about 300 original works of miniature art, housed permanently at the museum of Academy of Fine Arts and Literature in Delhi, where she is based. To some, that may come as a surprise. After all, Caur is known for her figurative work on women. Her immediate heritage-being brought up in a family of strong women and the influence of her mother, the award-winning writer, Ajeet Caur-explains that engagement. But few would know that her ties with Sikh miniatures have deeper roots. Born into a Sikh family that left Lahore during the violence-ridden days of the Partition, Caur always carried a deep pride in her Sikh identity and the universal outlook of Sikhism. A fondness for the arts ran in her family, too. It was her grandfather, a doctor by profession and an art connoisseur, who brought with him a few Janam Sakhis (ancient books on Guru Nanak) from Pakistan. That blood tie took a new dynamism after the trauma of the Delhi riots of 1984. As an eyewitness, it affected her life and art profoundly, as expressed in the series of paintings on the genocide of in Delhi. And her art and inspirations came to be anchored squarely in her heritage. "I always had an affinity towards Punjabi art," says Caur, a self-taught artist who always sought inspiration in Punjabi folk literature and motifs. Her fascination with Sikh art is evident in her compositions, themes and rendering of the subject matter. "But I am quite concerned about the lack of awareness that Punjab today has about its own special art," she adds. "Fortunately, contemporary Indian art has an identity of its own," she points out. "Because it is inspired by Indian culture rather than Western art." A crucial ray of hope comes from a small segment of collectors, especially non-resident Indians, who are doing their bit to give Sikh art its due credit. Money always proved a hindrance while pursuing her passion: "It is hardly easy to collect miniatures when there funds are in short supply. I remember that I once wanted to buy the volume, Court Paintings of India, from a noted gallery but didn't have the money. I pressed for a discount, which thankfully the gallery owner agreed to but only in exchange for one of my paintings." (That painting was later sold to a Japanese art gallery for Rs 9,000, and subsequently bought by a collector from Hong Kong at Sotheby's, London, for Rs 50,000). Caur began by collecting books of miniatures. And every time she sold a painting, she would treat herself to a book. And when the Indian art scene hit its golden period in the '90s, and she started buying the originals. "Slowly I acquired quite a sizeable collection, and I started work on them," she says. Hardly an easy task. She could get 25 paintings registered with the Archeological Survey of India at one go because, according to the rules, one could get an approval of only 25 paintings at a time. Many of the works needed restoration, hence, the process was simultaneously started. The entire procedure of registration and restoration took her three years. All the paintings were mounted in acid-free paper under her supervision. But Caur's work was far from over. She went on to pen a book, The Magic of Indian Miniatures. A rare document for those who are interested in the short-lived Sikh school of miniatures. And Caur's collection housed in her museum is, indeed, one of the few comprehensive collection of that genre. 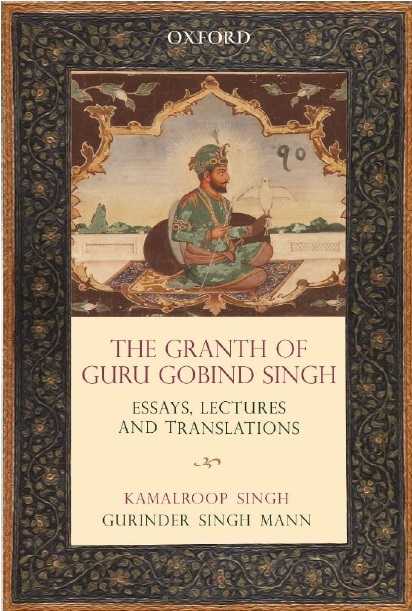 Though the Sikh religion is over 500 years-old, it was during the reign of Maharaja Ranjit Singh (1780-1839) that the miniature school came into its own. Many Pahari painters migrated to the court of Ranjit Singh in the 19th century and their works started doing the rounds in Amritsar, Lahore and Patiala, giving rise to this school of painting that portrayed the lives and exploits of the Sikh gurus. Miniatures are and have always had a niche but dedicated collector base. Today, the jewellike Sikh miniatures are being lapped by art afficionados all over the world. "Investing in them is like investing in gold," Caur adds. Truly a collector's choice.